A big dog with an even larger will to live has been given a good prognosis for recovery and a healthy life following a near fatal house fire in early January. Adler with Dr. Sonya Hansen, a resident in the Emergency and Critical Care Service. Adler, a four-year-old German Shepherd, owned by Brad and Shannon Mullins of Alexander City, made regional news when first responders pulled him from their burning home on Jan. 3. The couple was at work when the blaze occurred and because of the cold weather, Adler was indoors instead of in his fenced-in run. Firemen found him near death from smoke inhalation and carbon monoxide poisoning, but medical technicians at the scene were able to revive him by intubating, administering IVs and performing chest compressions. 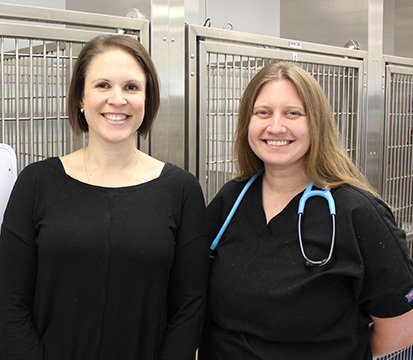 Adler was taken to the Dadeville Animal Clinic, run by Auburn University College of Veterinary Medicine alumni Dr. Lisa Plaisance ’03, owner; Dr. Tommy Poole ‘16; Dr. Michelle Karagas ‘13. They stabilized Adler, but because he was critical, referred him to the Auburn University College of Veterinary Medicine. Dr. Bacek and Dr. Lowe. 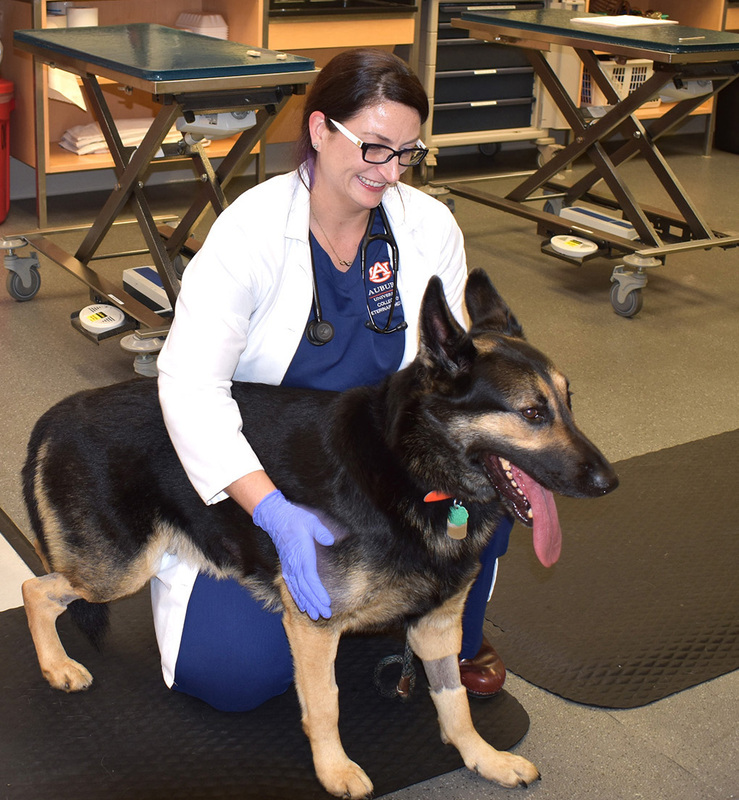 Adler remained a patient in the Intensive Critical Care Unit for 10 days, undergoing medical treatment as well as rehabilitation to help him recover his ability to walk, before being discharged to his owners. 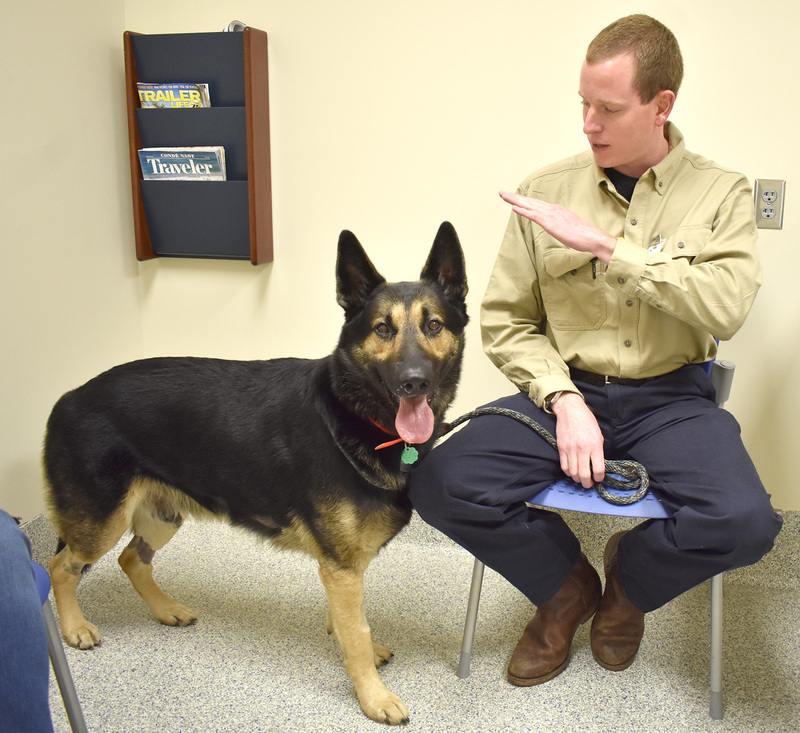 He returned to the veterinary teaching hospital recently for a follow-up examination and received a good prognosis for complete recovery. Adler and his owner Brad Mullins. Adler’s eye ulcers have healed and he is walking well. Brad Mullins says his pet still shows signs of confusion at times and is a bit more subdued than he was before the accident, but for the most part, Adler is doing well. Dr. Fallon gives Adler a neurology evaluation. 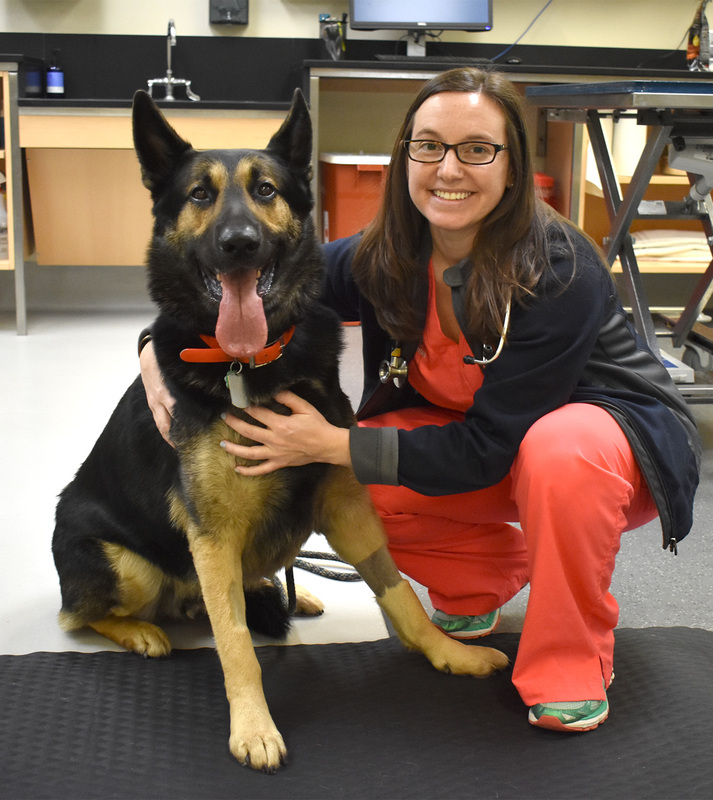 “Adler’s case is an excellent example of a team working together to save an animal’s life,” said Dr. Lenore Bacek, who heads the Emergency and Critical Care Service at the teaching hospital.